I did research on Ibn Sina and wrote the following in regards to his contributions to Physics which are not commonly known and overlooked by his vast discoveries in the field of Medicine which he is most recognized and known for. 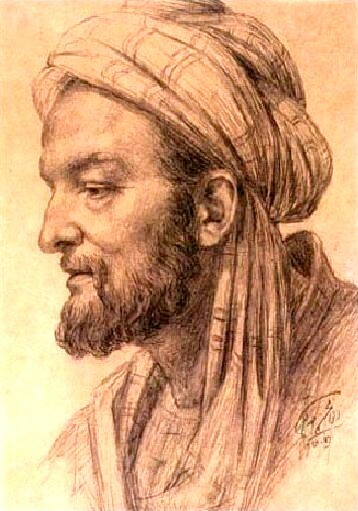 Ibn Sina, who is also commonly referred to as Avicenna, is arguably one of the most well recognized, revered, and influential scientist, philosopher, and physician of not only his time but rather throughout history. He is widely recognized for his vast achievements and contributions in the fields of medicine, but is considered a polymath who similarly revolutionized the global understanding of the sciences of metaphysics, philosophy, astronomy, and physics among others. Many of the modern day concepts of physics have a direct or indirect relationship to the discoveries of Ibn Sina. These include kinematics in one or more dimensions, vectors, dynamics, Newton’s laws of motion, circular motion, gravitation, work, energy, linear momentum, and rotational motion. Specifically in physics, one of Ibn Sina’s most influential theories involves the concepts of mechanics and projectile motion. His theory most resembles Newton’s first law of motion which states that an object in motion will remain in motion unless acted on by an outside force. Ibn Sina theorized that an object would only have motion if a force is applied onto the object. Also, he differentiated between the affinity of an object to remain in motion and the force applied. This is consistent with the concept of inertia which will always remain with an object unless an outside force acts on the object to either increase or decrease its motion. Additionally, Ibn Sina stated that in an environment without air resistance or friction, an object in motion would always remain in motion due to its inertia. The modern day understanding of momentum is also accredited to the discoveries of Ibn Sina. He postulated that the inertia on an object is relative to its velocity and weight. This gives way to Newton’s second law of motion that states a net force on an object is equal to the mass of an object times the acceleration of the object. Other observations that were initially discovered by Ibn Sina in the field of physics include the notion that movement and motion within an object, such as the motion of atoms and molecules, is a form of thermal energy that produces heat. This concept has great relevance on the laws of thermodynamics, enthalpy, entropy, and chemical reactions. Additionally, Ibn Sina was a pioneer in his use of the air thermometer for his experiments. He stated that the speed of light is not infinite and can thus have a measureable value. He stated this with the evidence that light is emitted in the form of particles that travel through space. Therefore, similar to other objects travelling through space, light must have a finite speed. Ibn Sina also commented on the dispersion and refraction of light. Ibn Sina wrote on the methodology for arriving at the core principles and axioms of a science. His arguments for the proper analysis and inquiry state that the general principles of a scientific theory precede the experimental work needed to verify it. This contrasted other scholarly opinions that stated nearly the opposite that experimental work and discoveries led to the formation of scientific theories and formulas. Ibn Sina’s criticisms of that method are that they will not lead to universal truths because it is necessary in that case that the principles of the science discovered would have to have been inferred from other scientific foundations. This would then nullify the theory’s position as being a core axiom and starting point for deducing other theory dependent truths. hmmm……does darthvader know about this? I also wrote a post about the achievements of Ibn Sina. You can read it here: https://asad123.wordpress.com/wp-admin/post.php?post=800&action=edit.